( Pia Gacha - Genesis Lab Skin Applier ) @ K9 - NEW! 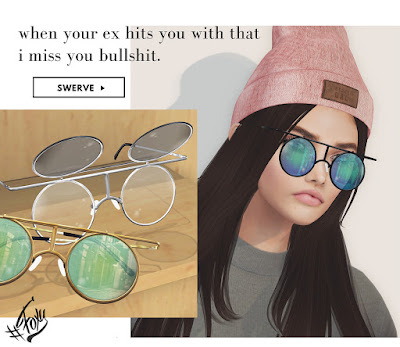 Очки /Sunglasses #Foxy Swerve Sunnies @ Tres Chic - NEW! Клатч /Сlutch #Foxy Misfits Clutch @ The Dressing Room - 70L - Sale!